Baltic States was in International congress. Our director Kristine Dakule was lector in one very interesting lesson about working in hard times. It was great congress, so much peoples, good master-class and lessons about real estate business. Baltic States participated in the International Real Estate Congress in Moscow. The forum was held for three days. Discussed market trends, international attitudes, held master classes. This was a great year, a great work has been done: the company expanded, evolved. A much wider range of services for our customers, a different approach to business, improved database, customer base and partners. We spent time in many seminars, conferences and exhibitions, including many of them directly to Moscow. We also discussed market trends and charts the banks chosen by the customer, and the relationship to customers. We do our best for our customers, so that they can pursue their dreams fast, safe, comfortable with us! 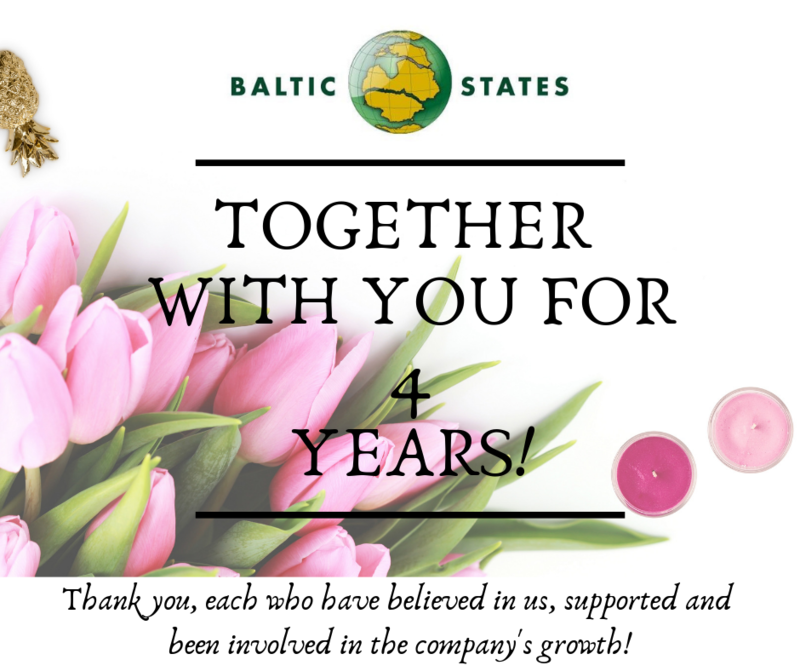 "Baltic States" in Real estate agents day. Good event, which allowed customers to visit the free advice on real estate. Buying, selling, leasing and new projects. There also participated DNB Bank as a consultant, which has provided financial advice, options for the purchase of real estate. People interest was very high. There was also information about the work of agents and brokers, how to distinguish between them, the benefits of working with a certified agents and companies. We are waiting for the new day with the help of agents "Lanīda" this winter. The theme of the meeting "excellent service for our customers, the situation in the real estate market, the Agency which the client can trust"
Agents need to develop their skills in working with clients and learn more and more to save customers time, money. "Sberbank" organized an annual conference for real estate brokers and other market players. Two days attended a series of lectures and sections, which spoke of the opportunities for cooperation and development, about how to work with different types of customers to help find exactly what they want to, achieve maximum results in work, and a lot more which is useful for us have to work not only with our customers here but also foreign nationals and us partners in all world. We learn and develop in order to achieve the highest professionalism in the us work. Welcome to us new office in Riga, Krasta street 86-702. How to issue a residence permit on the basis of the purchase of real estate? You will need to pay the state a fee of 2% of the value of the acquired real estate. Who else has the right to a residence permit, in addition to the property owner? If I become the owner of a residence permit in Latvia, which gives me the right to a residence permit in Latvia? A person who has a residence permit in Latvia is free to come and go out of the country, has the right to work and study in Latvia, the right to use the public and health services, as well as all the social guarantees provided by Latvian citizens, such as unemployment benefits, benefits at the birth of the child and others. In addition, the owner of the residence permit has the ability to send invitations for teaching Latvian visa. A person who has a residence permit have the right to visa-free visits to the countries of the Schengen agreement for up to 90 days in six months (except for the UK). The owner of the residence permit should not travel outside the Schengen area for the annual re-registration, to hand over the passport to the immigration offices as necessary to obtain a Schengen visa. Once you get a residence permit in Latvia, your freedom of movement is not demarcated for at least five years. Lack of refusal of entry to the European Union. You can freely visit the EU countries, and entry into other countries will be much easier for you. If once you have been denied a visa or not allowed to enter in one or another country after obtaining a residence permit, you will not be able to refuse entry without sufficient legal grounds. You can freely buy and register one or more cars in Latvia and travel freely on it outside the country. However, you can not pass control to this car by proxy outside the European Union. You will be able to pass the exam to receive Latvian driver's license, valid in the EU and other countries. After five years, you will be able to extend your temporary residence permit for another five years or obtain a permanent residence permit in Latvia. A permanent residence permit gives a path to citizenship, as well as social and economic benefits in other European Union countries. Ten years later, you can receive the Latvian citizenship after passing the naturalization process. This will allow you and your children to become full-fledged citizens of the European Union, to enjoy all the social benefits of Latvia and the European Union, to travel freely, work, do business, and much more. For how long is a temporary residence permit, and what documents are needed to extend the residence permit? The residence permit is issued for 5 years, to be renewed annually (re-registration). a document confirming the necessary subsistence, that means your account is enough to stay in Latvia for the year ahead (at the rate of 960 euros owner apartments, 320 euros and 192 euros a spouse child all amounts should be multiplied by 12 months). The documents for re-registration are available for 45-90 days before the deadline specified in the residence permit card. How quickly it is necessary to take a decision and get a card of a residence permit? The decision to grant temporary residence permits did three months. If the foreign national has not received a decision within three months, the whole procedure must be conducted again. If I received a residence permit in Latvia, can I cross the borders of the Schengen countries? Yes. If you have a valid residence permit, you have the right to be in the other countries of the Schengen area to 90 days within six months. In this case, a visa is required. What are the main causes of failure in obtaining a residence permit? a foreign citizen has compromising information, is grounds for a ban on entry and stay in Latvia. Do I need to get the Latvian driver's license, if I have a residence permit in Latvia? Yes, you have, you have to live in Latvia, 185 days, after which necessarily have to get a Latvian driver's license. This will need to take a driving test and undergo a medical examination. Was trained at the Latvian driving school is not necessary if you already have the right to the Russian Federation. Keep in mind that Russian law (or other country of which you are) taken. In Latvia, a pleasant climate, favorable conditions of life, the sea with white sandy beaches, the property is reasonably priced, high-end restaurants, luxury hotels and so on. D.